A unique pumping action makes it easy for one person to resuscitate a patient. Consistent tidal volume is delivered every time and a bi-directional valve..read more. 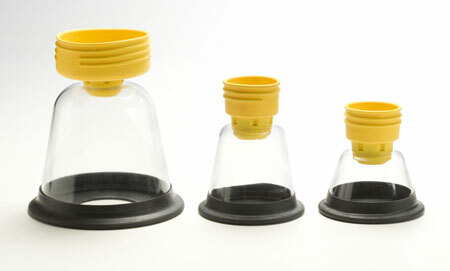 The rubberized adapter fits over the induction end of a resuscitator. 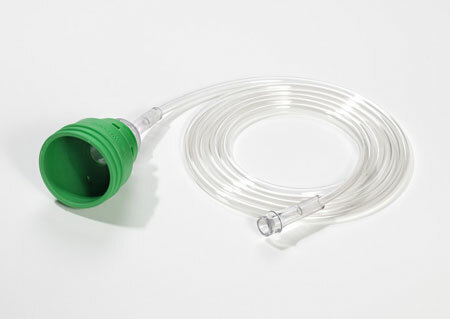 The adapter connects to an oxygen source via a hose bard. The adapter comes with..read more. 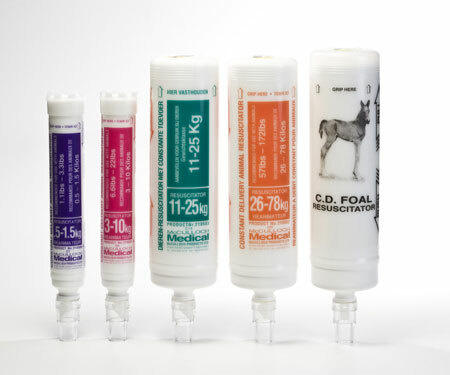 The Foal Kit is a complete resuscitator kit for foals…read more. This mask is used for the delivery of aerosolized medication. 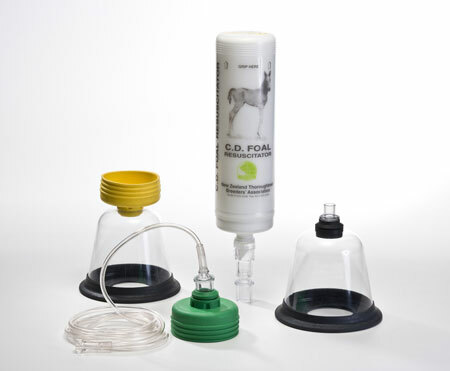 The side port accepts either a metered dose inhaler or a 22 mm adapter for a..read more. 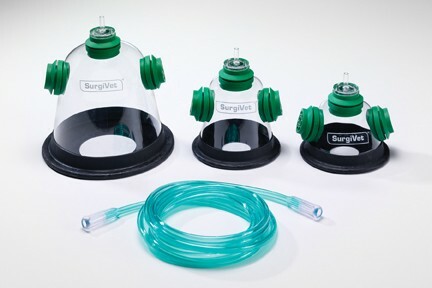 The mask has a rubberized adapter, which fits onto the induction end of the appropriate resuscitator. 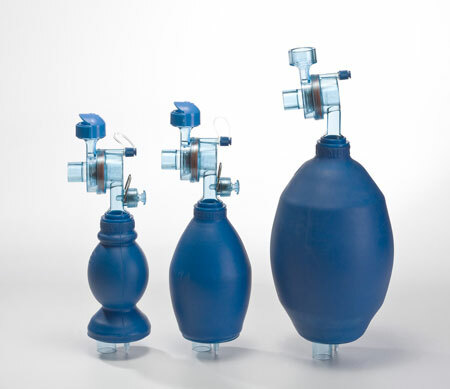 The vacuum formed by the resuscitator helps clear..read more. 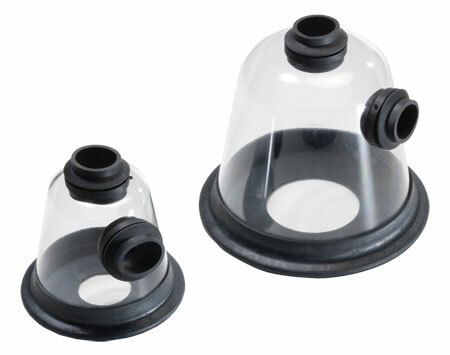 Dual vents and a rubber mounted 22 mm oxygen adapter enable unrestricted inhalation and exhalation of air. The durable mask is made of..read more.